1) Prior to installing sub meters for any utility, the CC&R’s have to be amended to allow the association to legally collect any subsequent charges for the individual homeowner’s utility charges! 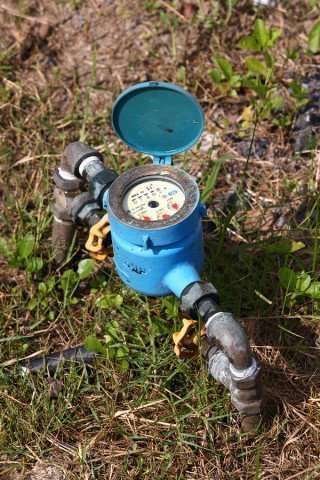 We have heard of hundreds of associations that installed sub meters at great cost and effort, only to find out later that when they started billing each homeowner, that if any homeowner refused to pay for these sub metered utility bills, the association could not legally collect the money!?! This is because the homeowner is held liable for only the dues, expenses and/or fines stipulated in the CC&R’s. If these CC&R’s are not amended to include sub meters, generally by a majority vote of the homeowners, the homeowners cannot be held liable for any sub meter utility bills. 2) Getting CC&R’s amended, in most associations, requires a majority vote of the homeowners. As anybody who has ever attempted to get community homeowners has learned, simply getting homeowners to vote is very difficult. Getting homeowners to vote on something that will cost them money is easier, but generally the majority of homeowners are not in favor of increasing dues, special assessments or being financially responsible for paying for their own utilities! 3) If CC&R’s are amended, can sub meters be installed on property? In some instances, the current configuration of the master meters and plumbing makes sub meters impossible or difficult to install. Many times, especially with older associations, it is simply not practical to install sub meters. This can be due to the fact that the property was master metered and there are no individual shutoffs to each home, or it was an apartment conversion or high rise, where all of the water lines are running through the ceilings, or there is simply no place to install the sub meters. 4) If sub meters can be installed on the property, what is the cost, and is a special assessment needed? If sub meters can be installed, oftentimes a special assessment must be approved to pay for the sub meters and for the cost of installing them. The sub meter costs and the installation costs can be extremely expensive and often involve plumbing retrofitting as well. These costs will vary widely, based on each property profile. 5) Once sub meters are installed on the property, who reads them each month and who sends out the bills each month and who collects the money from each homeowner each month? Once the sub meters are installed, there is the task of reading them, sending out invoices to each homeowner, and collecting these fees from each homeowner! This is a long-term commitment that generates nightmares for most managers, so this task is often turned over to the sub meter company, who then charges the association each month for this service. These ongoing costs can be high and generally never go away. 6) What if the sub meters break or stop working property? The average life of a sub meter is 10 years. So you will need to replace all of these submeters every ten years on average, and some will need to be replaced earlier! This is a big cost that needs to be built into your annual budget and never goes away. 7) You will still get billed from the city or utility company – these water/sewer bill(s) never go away!! The city and/or utility company does not get involved or recognize the installation of sub meters, so your original utility bill(s) never go away. We can guarantee that these utility bill(s) will only increase over time, so be sure that you are adjusting your homeowner sub meter fees accordingly! 8) If the association water utility bills increase, these cost increases are generally just filtered through to the homeowners, instead of questioned by the manager and/or board of directors or homeowners. This means that oftentimes rather than address these unusually high water/sewer bills via plumbing detectors, analysis, calls to the utility company, etc., the increasing costs, which could be erroneous, are simply passed through to the homeowners without scrutiny or question. City or utility company wins again!!! In our next newsletter, we will discuss the other water sub meter issue of sub meters for common-area irrigation water to eliminate sewer service charges – and why this is also not a good idea for associations!